Fashion Reveloution Week is April 23-29, 2018. A cool Global event held by people who wear clothes to bring us closer to the people who make our clothes. Let's discover some answers and find ways to take action in our everyday lives. Do you have a favorite designer or brand? If so, what is the name? Do you try to shop sustainably? Yes/no If so, how? 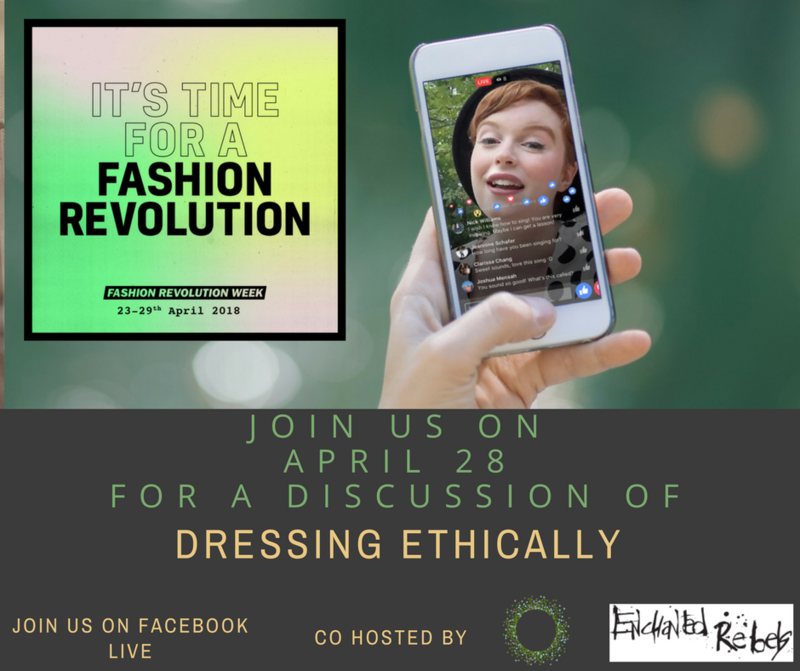 What do you know about Fashion Revolution.org? In 2017 we entertained an event for post cards to our elected officials.